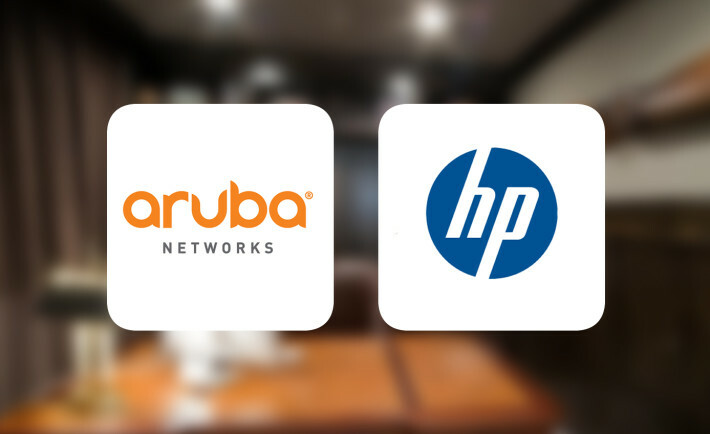 Aruba, a Hewlett Packard Enterprise company, is a leading provider of next-generation network access solutions for the mobile enterprise. The company designs and delivers Mobility-Defined Networks that empower IT departments and #GenMobile, a new generation of tech-savvy users who rely on their mobile devices for every aspect of work and personal communication. To create a mobility experience that #GenMobile and IT can rely upon, Aruba Mobility-Defined Networks™ automate infrastructure-wide performance optimization and trigger security actions that used to require manual IT intervention. The company currently has 2,000 employees. Hewlett Packard Enterprise Company (commonly referred to as Hewlett Packard Enterprise or HPE) is an American multinational enterprise information technology company based in Palo Alto, California. Founded in 2015, the company has approximately 30,000 employees worldwide and offers global IT, technology & enterprise products and solutions. HPE has four key divisions: Enterprise Group, which works in servers, storage, networking, consulting and support; Services; Software; and Financial Services. The Aruba demand generation team was translating leads into MQLs, but they didn’t have any confidence in their data and had a very low conversion rate. The team had 1.3 million records in their database—duplicates were rampant and historical data corrupt. This resulted in an inability to build an accurate lead qualification system. The sales team was calling the same contact multiple times and had a very difficult time managing the data manually. It was nearly impossible for them to qualify leads with the information they had. They needed to eliminate duplicates and find a way to tell a compelling story during their sales process. In turn, they would be able to score leads properly and match customer needs more accurately to their solutions. Aruba applied RingLead’s Data Cleanse, a real-time duplicate removal software. They then used Web2Lead and webhooks to enhance the company’s database. Doing so, helped enable the company with the ability to merge leads and keep the history in Salesforce. When approximately 620k duplicates were eliminated from Aruba’s system, their conversion rates increased dramatically. The company reports a 1.4-4-5.7% increase for web-to-lead conversion. Additionally, the original number of 1.3 million records was reduced to 680k records. Overall, the deletion of these duplicate records saved Aruba $100k in Marketo per record costs. The company also reports that call list information is complete and all historical information is accurate.